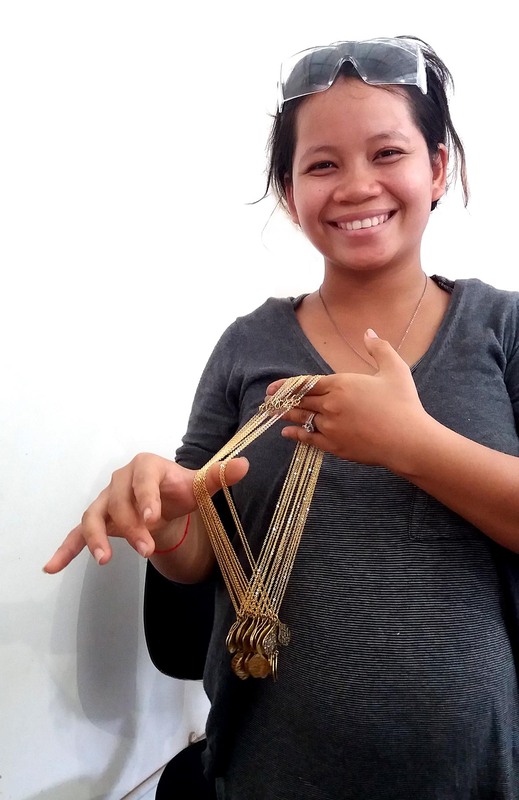 Emi & Eve is thrilled to announce our collaboration with jewellery atelier Ammo in Siem Reap. 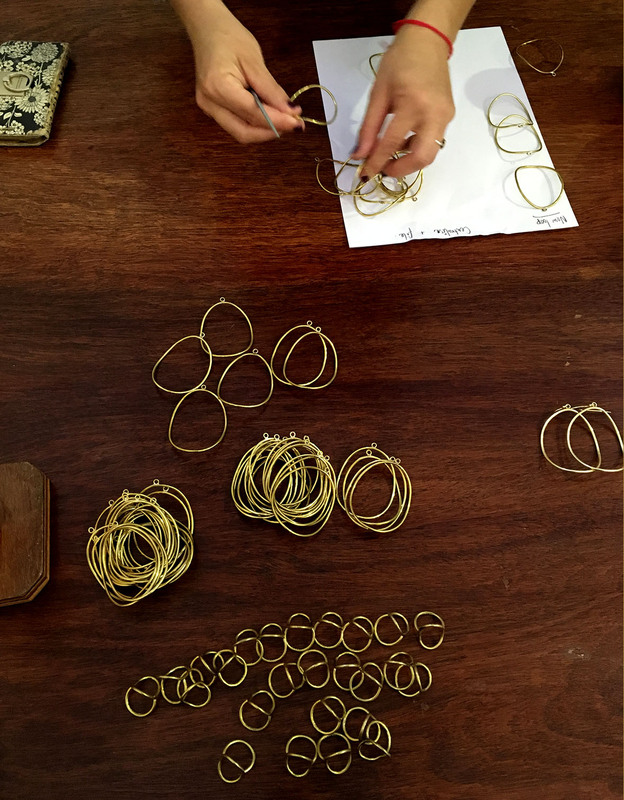 Ammo was founded by UK jewellery designer Madeline Green, who established her atelier with backing from local NGO SaoMao. 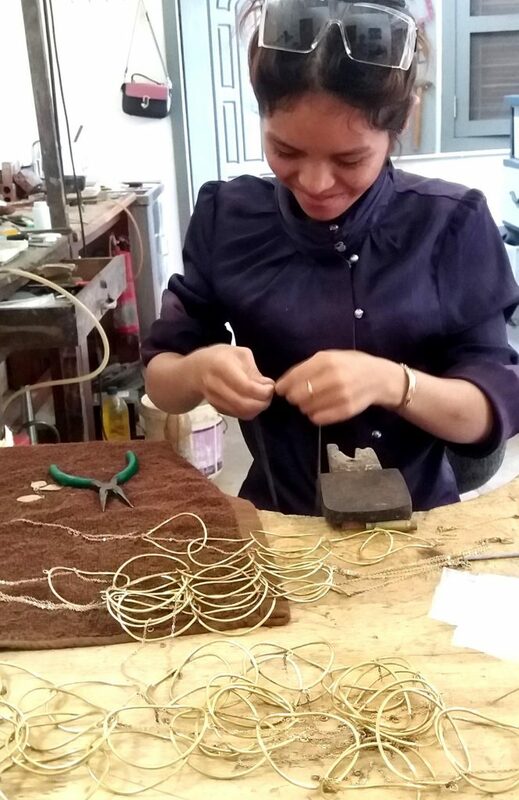 Ammo Jewellery Design was formed from the desire to marry ideas from the western world, with the traditional techniques of the Cambodian people. The workshop currently provides apprenticeship training to four disadvantaged Cambodians. Some of them lived at a street kids project called Green Gecko prior to joining the atelier. 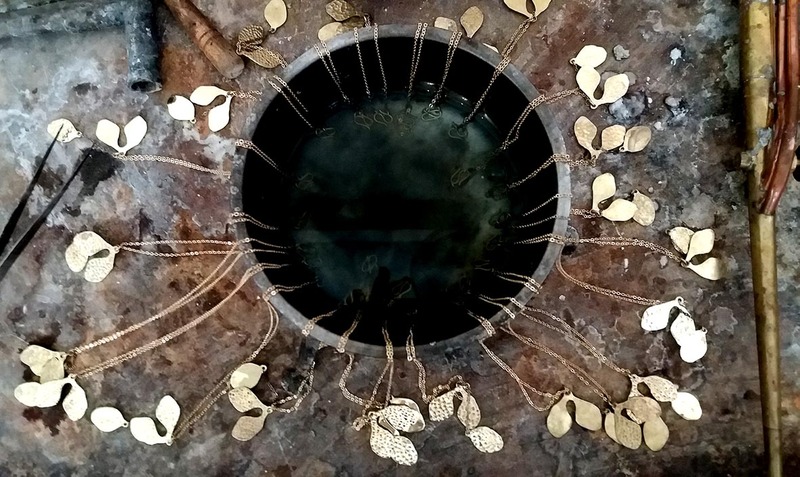 Brass bullet casings are transformed by a laborious process of melting down, flattening, and cutting out into positive jewellery to enjoy. Incidentally, when Angelina Jolie spent time in the area filming “And Then They Killed My Father” in 2015, all of Madeline’s artisans were recruited as extras and the workshop had to be closed for two weeks. Angelina worked with the Green Gecko Project to recruit extras for the movie, which is shot from the viewpoint of a young girl. They were then commissioned to make 10 pendants by the film’s stunt crew, and as a thank you Madeline made a unique, one of a kind Geisha hairpin for Angelina out of brass bullets. What a wonderful exchange of creative expressions, all of which changed lives in the process! 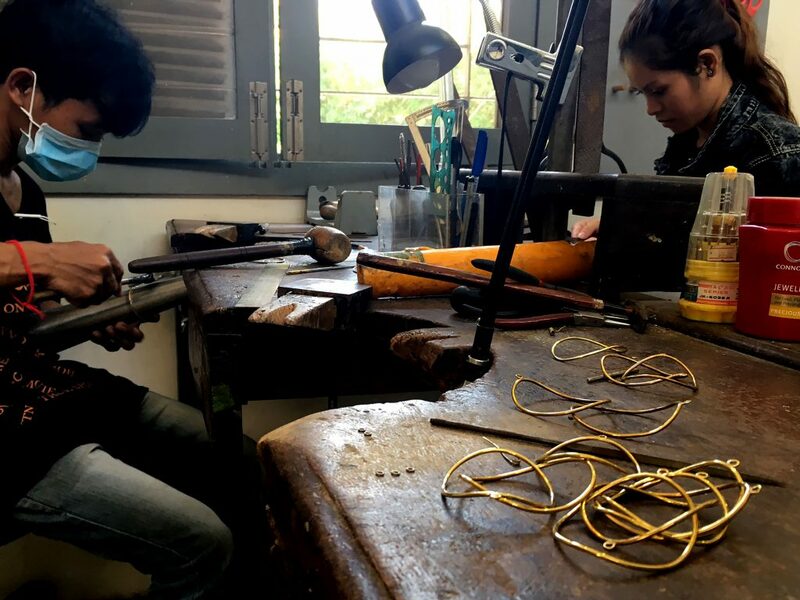 In the same way, a collaboration between Emi & Eve and this extraordinary atelier produces nothing short of magic… Besides, our designs and standards have had added benefits to the social enterprise. Ammo makes the Naturae collections, the River and Freedom rings, and Freedom hoop collections.